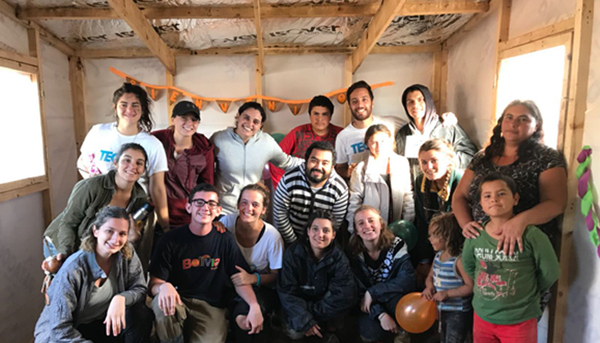 Idil Tanrisever was selected as a 2018 Global Citizen of the Year Finalist for her volunteer work throughout her semester in Buenos Aires - from building houses on her weekends to working with an education program at a daycare center. 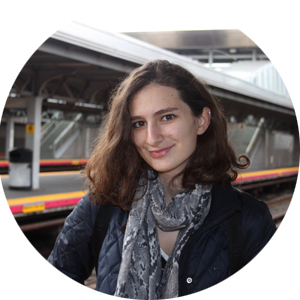 The Global Citizen of the Year jury was impressed by her commitment to leave her comfort zone, to connect with multiple communities, to pursue an internship in Argentina after her program, and to continue her studies in urban inequality for her honors thesis. Idil went above and beyond during her time abroad to learn deeply through experience and to live out her global citizenship by volunteering her time and talents. Take us back to the beginning of your study abroad experience. What made you want to study abroad? Why Buenos Aires? How did your journey begin? I wanted to study abroad since I came to Lafayette. I love traveling, meeting new people, and new cultures, so living in an entirely new place sounded very appealing. And so, I started looking at programs pretty early on. I wanted to go to Latin America because I knew absolutely nothing about it except that it had beautiful lands and corrupt systems. I wanted to improve my Spanish skills and to be in a big and diverse city, where I could meet people from different backgrounds and try different things, such as attending a tango class. As I looked into Buenos Aires, it seemed like a great option, with a European influence combined with the Latin American culture and the distinct landscapes that were all across Argentina that I was so excited to visit. You have a uniquely global perspective as an international student studying in the United States who chose to study abroad in Buenos Aires. How do you feel this influenced your study abroad experience? I was more willing to leave my comfort zone and I valued connections with local communities more. Coming to the United States, I had been through the process of moving to a new country and starting from zero. It took me some time then to realize that becoming uncomfortable was so important for self-growth. Through making friends with Americans, learning slang, Netflix (it wasn’t worldwide yet), and various aspects of the American culture, I got learn a new perspective, a new way to perceive the world around me. That is why I wanted to engage with the local communities and make friends with the people of Buenos Aires. In a few words, tell us about how you have made a positive impact in the world through study abroad. During my study abroad experience, I volunteered, worked, observed, and learned. Being back on my college campus, I am now using the resources that are available to take action. My experiences with environmental justice issues in Buenos Aires inspired me to study urban inequality in my home city, in Istanbul. For my honors thesis, I am studying the impacts of urban renewal projects on displaced residents’ access to urban services, such as health care and education. I still carry the knowledge that I acquired when I was studying abroad. It has an impact on my daily life, on my values, on my future goals. You came into this adventure seeking deep cultural immersion—a desire we very much connect to! Tell us more about why this level of connection with local people is important to you. I am a very curious person and when I travel somewhere, I want to learn all about it! Learning about social issues that were prevalent in Buenos Aires and talking to locals about those issues to get their perspectives, I had some of the most memorable conversations. That’s why I wanted to immerse myself and become a part of the community because it was only this way that I could truly understand the Argentine ways. Not just the ones that are advertised and are all around the internet, but the sides of Argentina that the tourists don’t experience. What did you learn about the world through your experiences in Buenos Aires? Through my experiences, I learned to appreciate simple things, such as waking up feeling fresh after a good night’s sleep. Volunteering with an NGO that works to alleviate poverty by providing extra living space, I went to a villa where there are no roads nor a sewage system, spent time in a house where there is no furniture nor heating system, slept on the ground for two nights… The basic needs that a lot of people take for granted were missing in these houses. We had talked about poverty statistics in Argentina in my classes. Being there, I saw those statistics in action. And yet, the people still had mate, a common Argentine beverage, to share with us, the volunteers. We all drank from the same cup, the language barrier disappeared, as well as other factors that rendered us different. We were all people, working towards the same goal, and we all loved mate. I was also volunteering weekly with an organization that works with families that live in a villa in the city of Buenos Aires in order to empower development. Volunteering at a daycare center, I helped kids with their homework, played hula-hoop, and organized language activities. These kids generally came from underprivileged backgrounds and had immigrant parents. This center was crucial for their development because they received educational assistance, nutritious food and were surrounded by people who genuinely cared about them. Leaving the affluent neighborhood that I was living in to volunteer in deprecated neighborhoods and learn about the realities of Buenos Aires, developing relationships with underprivileged communities and listening to their stories, having conversations with my roommate about her internship – which was about living conditions in a poor neighborhood – made me think more and more about environmental justice problems that exist in Argentina, in Turkey, and all around the world. The discussions we had in the Service Learning Seminar course were really eye-opening and thought-provoking for understanding the social issues in Argentina. Later on, my internship with an Argentine organization introduced me to the topics of international development and helped me place my volunteering experiences in an international development context. Studying abroad, for me, was as much about realization as it was about learning. 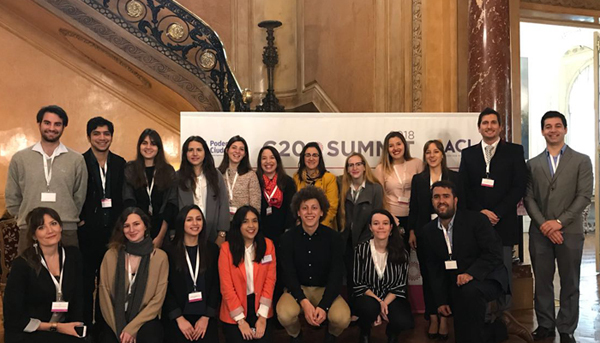 The perspectives and experiences I gained in Argentina made me realize how much I care about opportunities for all, specifically for vulnerable populations. Maybe it was the freedom of being in a city with so many options, or it was the mindset of studying abroad – the pursuit of discovery and exploration. Experimenting, discovering, and opening yourself up to new experiences. Running into different scenarios of life and learning how to react. Learning what matters to you, and then carrying them with you along the way. How has this experienced shaped your future? What’s next? 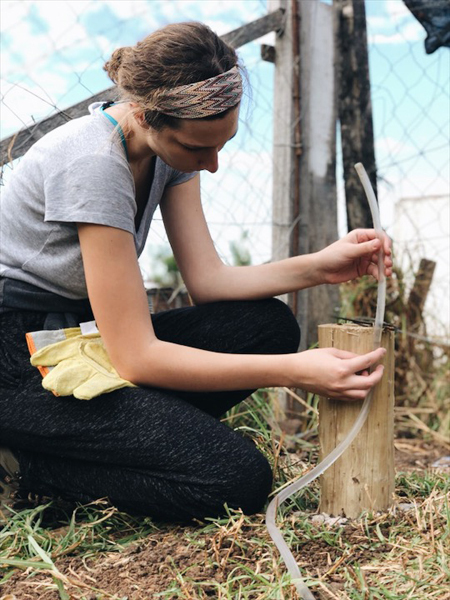 Through my experiences in Buenos Aires, I was exposed to different topics of community and global development and was inspired to study a topic that I deeply care about for my honors thesis. Moving forward, I plan to work in economic development, a field that I wasn’t familiar with until studying abroad. If you could give one piece of advice to future study abroad students, what would it be? Make sure to feel uncomfortable at least once every day. Learn more about Idil's experiences in Buenos Aires on her IES Abroad Blog. Studying abroad, for me, was as much about realization as it was about learning. Running into different scenarios of life and learning how to react. Learning what matters to you, and then carrying them with you along the way. Study abroad isn’t a vacation from life. It’s an invitation to claim your global citizenship. To learn by exploring. To connect with a community. To give back through purposeful action. Be inspired by our 2018 Global Citizen of the Year winner and finalists who are doing just that.